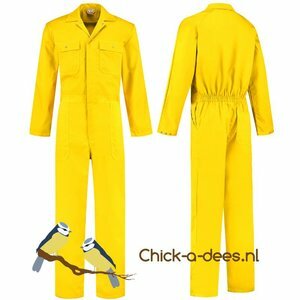 Strong and practical yellow dungarees with black accents, also called American overall. 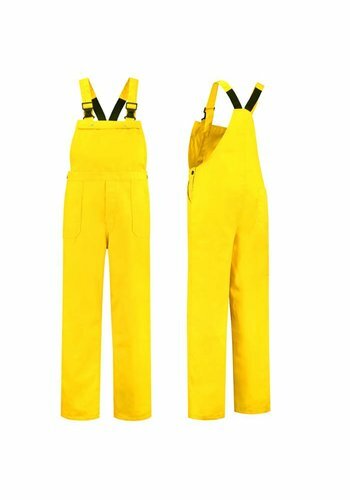 The yellow and black dungarees are suitable as work trousers and carnival in size 44 46 48 50 52 54 56 58 60 62 64 and 66. 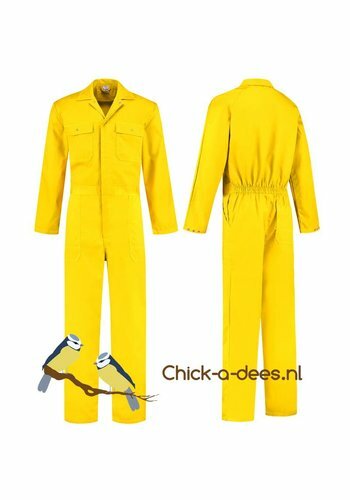 Dungarees in black and yellow. Original for a party or a carnival parade. At the front the entire breast part is provided with a large pocket, which can be closed with push buttons. 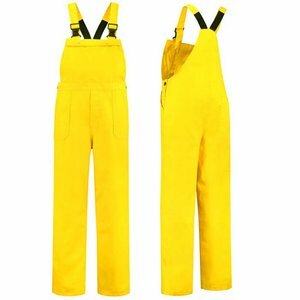 The dungarees are spacious and can be worn over their own clothing. 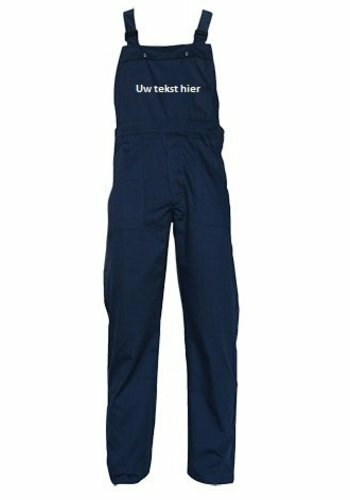 You can easily add a print on the front by adding the product imprint dungarees to your shopping cart. 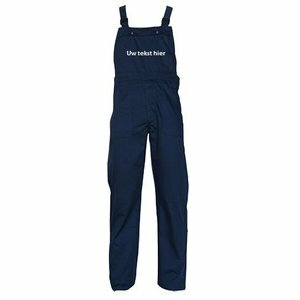 We take care of printing the text on your dungarees. Prefer a logo? Send us the logo by e-mail, to discuss the possibilities of printing. There are also various other possibilities to provide the pants with a print or embroidery. We refer you to the information on the special page about this. The dungarees are a unisex model. The sizes are so-called men's sizes, the conversion to women's sizes are listed behind the men's sizes in the size selection. Size 50 men is the same as women size 40, men's size 48 is the same as size 38 for women. and so on.